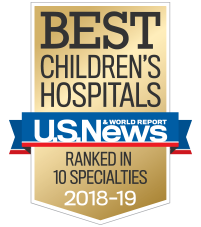 Children’s Healthcare of Atlanta offers you the chance to build a stellar academic career with unmatched opportunities for collaboration among some of the best research and academic centers in the nation. You also gain exposure to a high volume and variety of cases at one of the nation’s largest pediatric healthcare systems. Our various campuses give you first-hand experience working in an academic setting, a private-practice setting and an urban hospital setting. Children’s supports your intellect, talent and mission to seek a deeper connection with your profession and your patients. We are also recognized as one of the top employers in the U.S., ranking among Fortune magazine’s “100 Best Places to Work” for 11 consecutive years. Atlanta offers residences that are considerably less expensive than other major metro areas. Its cost of living consistently ranks below the national average. Children’s is the major pediatric provider in Georgia, with the only Level 1 Pediatric Trauma Center in the state. We serve approximately 226,000 patients in our three emergency departments, and manage more than 26,000 patient admissions to our hospitals each year. Children’s works in constant collaboration with our neighboring academic and scientific institutions. Through these collaborations, we strive to develop cutting-edge treatments and technologies to answer the most perplexing childhood medical questions. Those answers are then translated into clinical applications and bedside care. As a participant in Children’s non-clinical summer internship program, you will work on meaningful, project-based assignments for 10-12 weeks during your summer break. You will gain valuable hands-on experience that will prepare you for the next steps in your education or career. Interns will interact with business partners and contribute to important projects from day one. The internship program will expose you to the Children’s organization through a variety of events including Meet & Greets with key leaders, department-specific information sessions, a hospital tour and more. Children’s offers internships in various non-clinical departments across the organization including Marketing, Public Relations, Foundation, Strategy, Quality and Information Technology. Summer internship opportunities can be viewed on the Children’s career portal. Most non-clinical summer internships are located at the Children’s Office Park. The Office Park, home to the non-clinical departments that support Children’s, is located northeast of downtown Atlanta, off I-85 and North Druid Hills Road. *Children’s is not able to hire students who require visa sponsorship. Note: Internship offers are contingent upon the satisfactory completion of a pre-employment health screen (to include drug and nicotine screen), a thorough background check and demonstrated evidence of your ability to work for any US employer. Summer internship opportunities will be posted on the Children’s career portal in early January. Interested students must apply online to be considered. Applications will be accepted through February 1, 2019. The most qualified candidates will be contacted by a member of the recruiting team for an interview. The internship program will run from mid May through early August 2019. As the primary teaching site for both Emory University School of Medicine and Morehouse School of Medicine, Children’s is dedicated to shaping the future of healthcare. Each of the fellowships we offer is accredited by the Accreditation Council for Graduate Medical Education (ACGME).